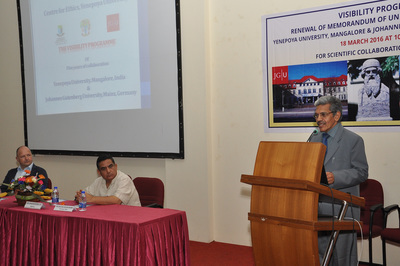 The Yenepoya University, Mangalore, had organised a visibility programme as a part of successful completion of five years collaboration between the two universities at Yenepoya University and Johannes Gutenberg University Mainz, Germany recently. During this occasion the two universities have renewed the memorandum of understanding for a further period of five years. 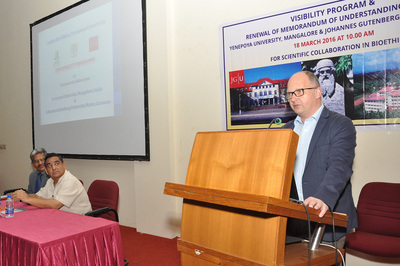 Speaking on the occasion Dr. Norbert W Paul, director of the Department of history, philosophy and ethics in medicine from Johannes Gutenberg University Mainz, Germany said, medical institutions should stress more on social value of health. He pointed out that the collaborations provide opportunities for the students to understand the Trans-cultural experiences in health care. He said that he wanted students from Johannes Gutenberg University Mainz, to see how the health care happens in Yenepoya University and understand nuances associated with resource limited settings. 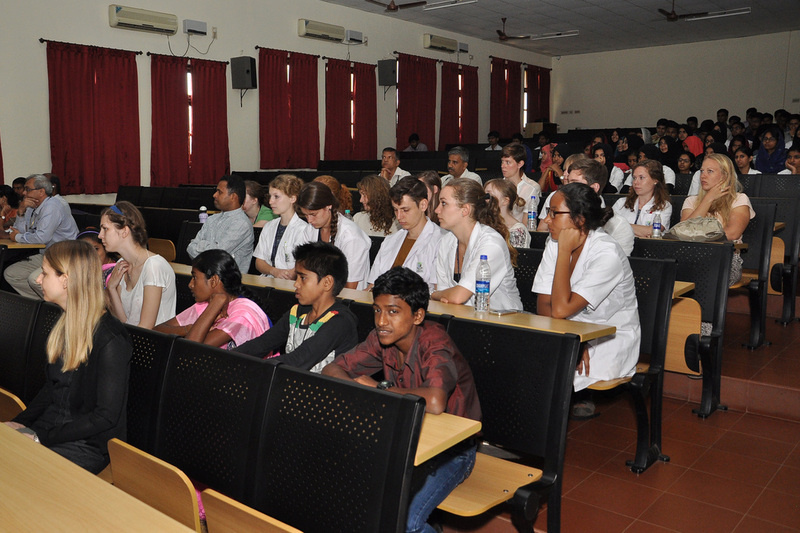 He stressed on the humanitarian medicine which is an ethical responsibility of societies. Complimenting the successful completion of five years of collaborations Dr. Raghuveer, Registrar of the university, in his presidential address said that the continuous student exchange, faculty exchange, and research last five years have paved the way. Now the time is ripe for widening the scope of Memorandum of understanding and bringing Yenepoya Dental College and other colleges in the ambit. He further added that the Centre for Ethics has put itself in the map of ethics in the whole country as first of its kind by starting and successfully running structured academic courses from last five years. The earnestness and commitment has made this collaboration successful, he said. 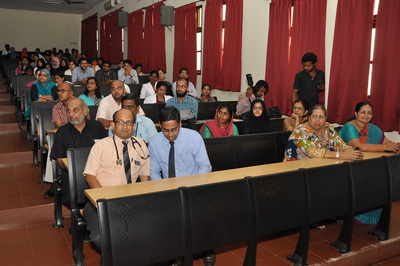 Dr. Ghulam Jeelani Qadiri, Principal & Dean of Yenepoya Medical College welcomed the gathering. Dr. Uma Kulkarni, presented five years report of collaboration. 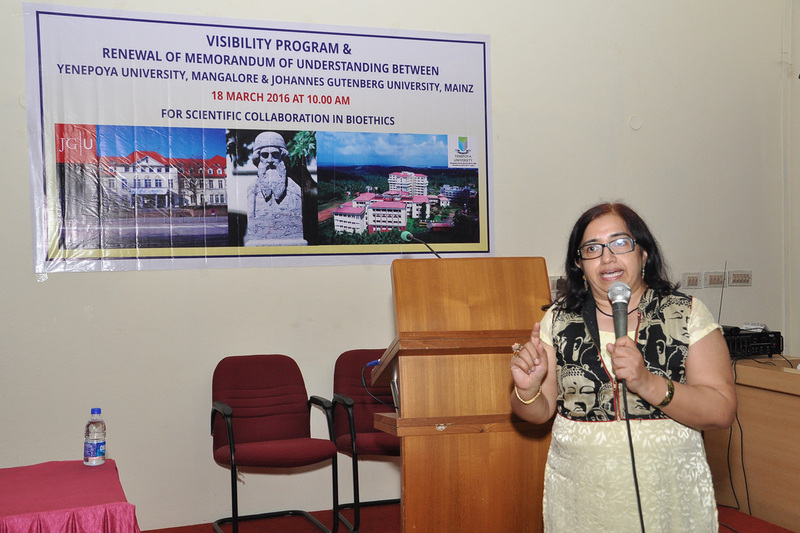 Dr. Vina Vaswani, Director, Centre for Ethics compeered the programme. 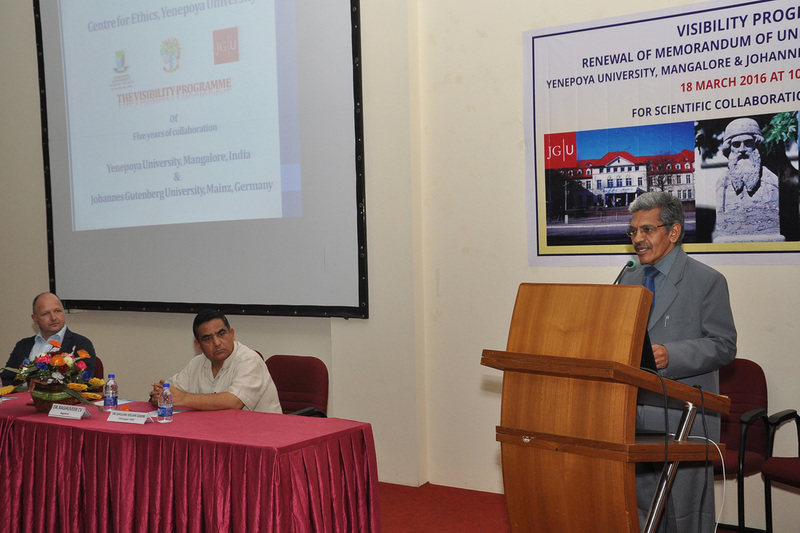 Dr. Hari Kishore Bhat, Associate Professor proposed the vote of thanks. Mr Sajjad Salman, rendered prayer. The children from Sneha Sadan, HIV care and Support centre Gurupur brought handmade flowers for the guests and gave a soulful rendition for peace and harmony. 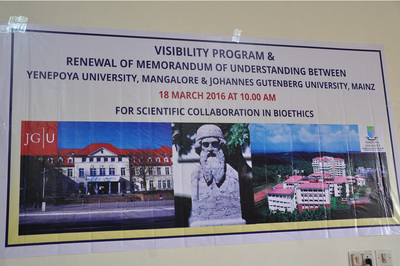 With Department of History, Philosophy and Ethics of Medicine, Johannes Gutenberg University, Mainz, Germany Immediately after its creation of the Centre for Ethics, Yenepoya University signed a Memorandum of Understanding with the Department of History, Philosophy and Ethics of Medicine and Allied Sciences, Johannes Gutenberg University, Mainz, Germany. 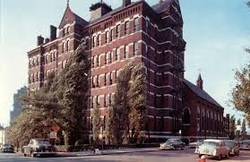 The objectives of this collaboration was manifold. Starting of academic courses, encouraging staff/student exchange so as to enrich both signatories in cross cultural ethical applications and research in the field of Clinical Bioethics. 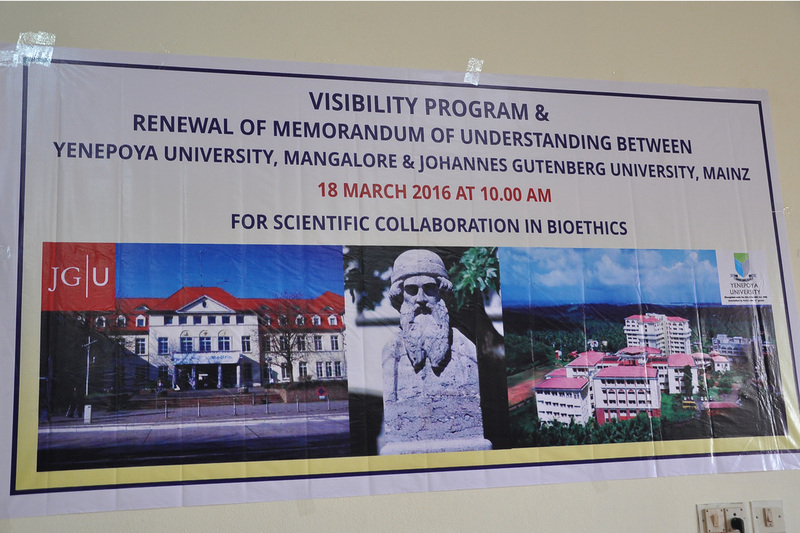 Dr.Norbert Paul, Department Head and Dr.Vina Vaswani, Director Centre for Ethics are coordinators for this Memorandum of Understanding. 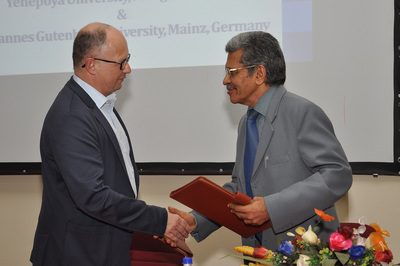 Signing of MOU with between Yenepoya University and Johannes Gutenberg University, Mainz, Germany on 15th February 2011. With Centre for Health Care Ethics, Duquesne University, Pittsburgh, USA. 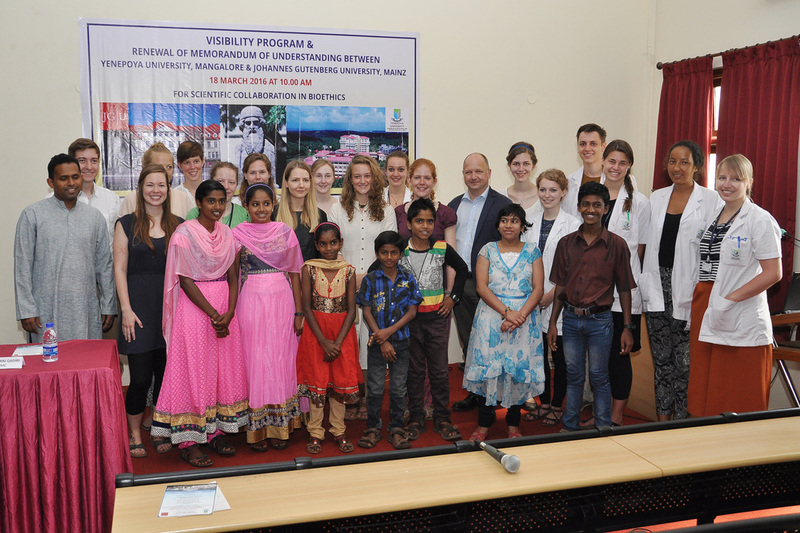 Centre for Ethics has also developed a collaboration with Duquesne University, Pittsburgh, USA. Dr.Henk ten Have, Former Director of Bioethics division of UNESCO is the Professor and Head of the Centre for Health Care Ethics. In this collaboration Drs. Vina & Ravi Vaswani have co-authored a chapter in a book, where Prof ten Have is the Chief Editor: Bioethics Education in a Global Perspective. 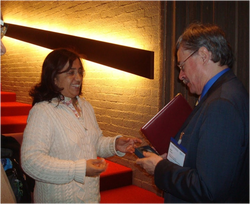 Dr. Vina Vaswani and Dr. Henk ten Have, Director, Centre for Healthcare Ethics, Duquesne University, Pittsburgh, USA exchanging MoUs on collaboration in academic, research and faculty/students exchange in healthcare ethics.